In a participatory democracy, communication between political leaders and the people should be ongoing. In order to promote continuous public dialogue on current issues and events, the National Institute for Policy Studies (NIPS), with the support of the Friedrich Naumann Foundation (FNF), held two democracy fora. The first forum was held at the University of Mindanao, Davao City on 22 November 2007. 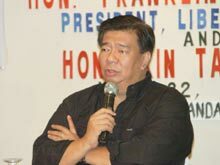 Former Senator Franklin M. Drilon gave an evaluation of the current political situation in the country and the liberal responses to them. He focused on issues of good governance and the rule of law. 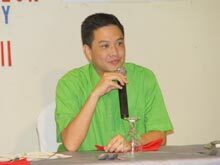 On the other hand, Congressman Lorenzo “Erin” Tañada analyzed the human rights challenges in Asia and the Philippines. A lively discussion with the students ensued afterwards on topics as varied as: the cost of the Senate, views on charter change, corruption and the credibility of politics. 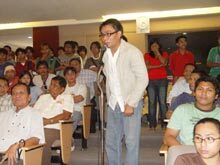 Following the Davao event was another forum at the University of the Philippines, Cebu City on 3 December 2007. After former Education Secretary Florencio “Butch” Abad analyzed the country’s situation, former Congressman J.R. Nereus “Neric” Acosta engaged the audience in an impromptu political survey. What came out was the disconnection many felt from their political leaders. Many also expressed cynicism towards the political process, citing the case of the Electricity Reform Law as an example. While most people accepted that nationalizing the power sector again was counterproductive, there were worries about regulatory capture by vested interests. This kind of privatization process would not lead to increased competition and would be counterintuitive to reform. The candid response and honest assessment of the public underlined the necessity of having such fora. It also showed the corrosive effect of a remote government on the democratic ethos of the country.